A new official version of the complete kit of drivers aka the CD v1.11 is currently available for downloading on Nvidia’s website. 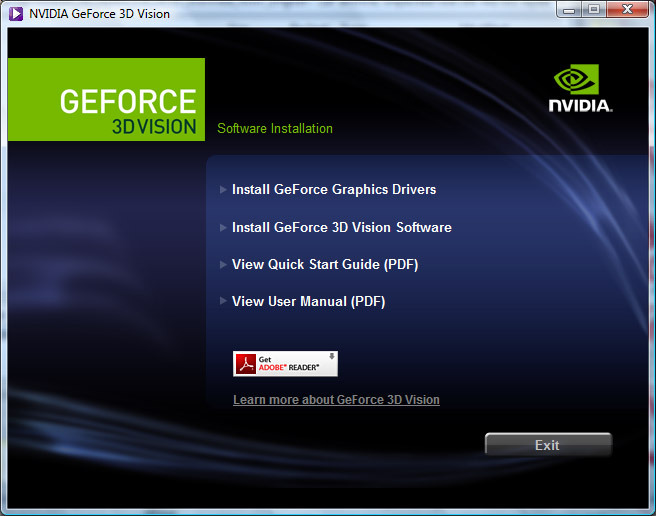 The NVIDIA 3D Vision Driver CD version contains the latest GeForce GPU driver v190.62 WHQL and NVIDIA 3D Vision driver v190.62 for both Windows Vista and Windows 7 operating systems (32-bit and 64-bit available). The drivers also come with PhysX 9.09.0814 System Software, so that you have it installed and available in the games supporting PhysX. Unfortunately there is not much information regarding what is new and what is fixed in this drivers pack for 3D Vision, besides that it fixes some crashes due to memory leaks and maybe have some improvements in WoW. Andrew Fear has confirmed that: “No new profiles in this release, its just a bug fix release.” Anyway if you haven’t updated your video and 3D Vision drivers lately now is the right time to do it, but if you experience some issues giving you BSOD better go back to 1.10 and wait for an update.